– Our water has been distilled then ozonated to kill organisms. Special air systems are used including an Air Ionizer to take care of any chemicals, a Mercury Vapor Ionizer to convert Mercury Vapor to particles that are collected on a plate, and an Air Filtration System consisting of two hepa filters and a mercury vapor filter. IAOMT, Huggins, and special Protocols developed by Dr. Jones are available. – detects areas of low jawbone density, ischemia, and osteonecrosis. Surgical procedures are offered for people with symptoms and conditions requiring extraction of teeth and surgical curetment of the site with hand and rotary instruments, ridge preservation and augmentation procedures. – to image the airway for oral appliance effectiveness to treat Snoring and Sleep Apnea. Oral appliances are also used for headaches, temporomandibular joint dsyfunction (TMD), bruxism/clenching and to straighten teeth. – One appointment custom made enamel-like ceramic piece fitted and bonded to your tooth preserving all possible enamel. 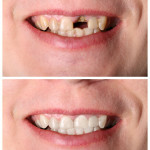 on hand pieces are used by Dr. Jones in order to perform the best micro-dentistry for you. – This red laser detects areas of soft decay under the hard outer surface, especially in areas that are hard to see on the x-ray. – used for detecting bacterial toxins and bacterial/human inflammatory proteins around your teeth (non- invasive).